Kid's Bowtique has a "Ruffles and Bow Collection" of personalized tote bags for flower girls, bridesmaids, dance teams, party guests, etc. 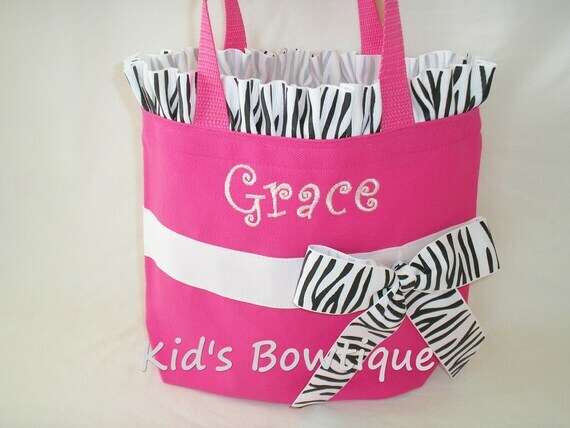 Our monogrammed tote bags are accented with unique ribbon ruffles along the top of the bag and a matching bow.. The unique design makes the bags a stylish and unique gift for birthdays, weddings, baby showers, etc. We can custom sew bags to match your colors/themes and quantity needed.